Bristle Material: Mexican Fibre, Sisal Fibre, Tampico Fibre. Backed ourselves with modern machines, we are paramount in supplying our customers best and most superlative quality collection of Natural Indian Bristle that is designed for Industrial Oiling, Cleaning, Greasing etc. As an illustrious corporation of the industry, we are eagerly immersed in presenting a broad gamut of Chungking Bristle Brush to our patrons. Made obtainable in a comprehensive range of options, we also hold expertise in successfully matching up with the requests of Polyester Monofilament Bristle. We are offering an extensive and exceptional range of Bristle Air Brushing to our clientele. 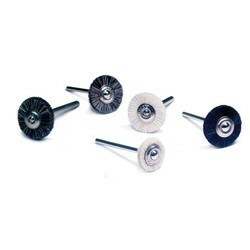 These are produced from top class raw materials which give complete satisfaction as per customers desire. These are available with different shapes, designs, colors, textures and patterns. 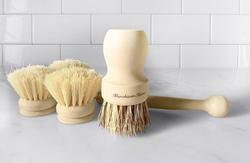 We are engaged in providing high quality Bristles. It is graded based on its nature of extraction, color, presence of long and short fibre, impurities etc. This dial brush is designed with nylon bristles that are gentle enough not to damage your watch dial, but firm enough to actually allow you to clean the dial. This is a must have tool for watchmakers, and for anyone else who specializes in cleaning watches. Handle may vary in color. We are engaged in offering Natural Bristle Brush to our esteemed client.